India Post on the occassion of philately exhibition INDIPEX 2011 is bringing out a special stamp on Mahatma Gandhi to commemorate the event. 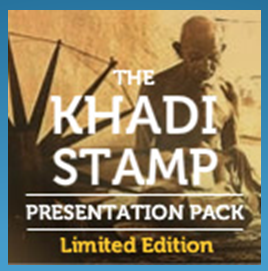 The stamp will be unique as it will be printed on “Khadi” instead of paper. The Presentation Pack will be released by Smt. Pratibha Patil, the President of India on Saturday 12th February 2011 at INDIPEX 2011, the World Philatelic Exhibition being held in New Delhi.